Lets slow things down everybody. This crazy world has been going so darn fast lately. I feel it was just yesterday I was wearing 2004 sunglasses watching the ball drop from my living room. I digress. maybe this lovely downtempo song is just what we need. What do you say? Take it away Peach body! 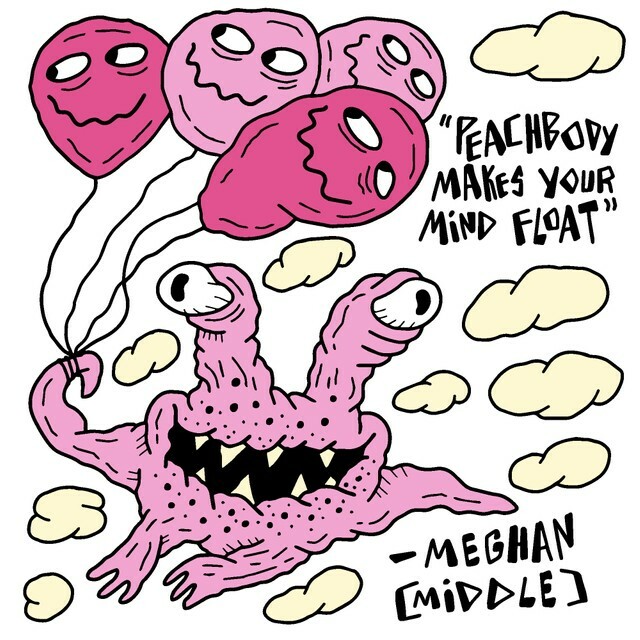 Peachbody makes your mind float. At first listen I was like, thank you, yes. But then I started to get a little critical because I found it kind of typical SoundCloud artist inspired by Joji. But, that being said he has his own thing going on and he did that thing very well. It is so damn beautiful this song. This could play for this entire day and my head would still be nodding and happy, floating. I like the texture of his voice and the deepish tones, with the bass. The switch up of the music once we got into the verse is nice, I think there’s hints of trumpets in there and I really tuned into that bass. ﻿Sometimes I can get into the groove with trip hop, but I found myself having a hard time with this one. It took a couple of listens and some confirmation from my brother to understand that the tracks were not skipping, but rather the high-hat was being just abruptly cut. I understand that’s part of the style, but it was pretty jarring. I got used to it as the song progressed, and it did get less pronounced, but it was still tripping me up every so often. Each musical accompaniment had its own tempo, but they mixed together well. The light, classic feel of the piano complimented the snare drum high hat combo, which somehow had a floaty atmosphere to it. I kinda had hoped they’d keep incorporating the brass from the beginning though. The vocalist had a calming voice, and the lyrics were solid, but in general it was nothing too substantial. This track is pretty chill, but it sinks too far down into it and risks becoming dull. I’d say it’d be nice as background, but for me personally the skipping negated any relaxing quality from it. I found it to be pretty fitting that this song was the only thing I had access to the hour while my internet was down. Peach Body’s track is a welcomed refresh on my overall outlook. It is a tune that makes you take stock of everything and say “Hey things are going pretty well” I guess thats a “feel good” track? Maybe I am more susceptible to feeling things after drawing for hours on end with no contact with the outside world. Never the less this song has touched me. The song has fantastic production behind it. Not to say that is over complicated though. It has been stripped down three main components. These include a low-fi drum kit, light piano notes, and relaxed vocals. The simplicity works in the songs favor. Not only does it allow the lyrics to stand out, but it also makes repeat listens more enjoyable. Life is beautiful and its getting warmer out, so I think I will go outside.